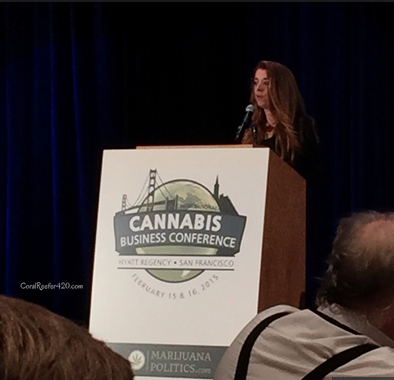 Thanks to Steven Short at Kalw.org Public Radio San Francisco for quoting me in this piece from the International Cannabis Business Conference! One of the last speakers, as if confirming the opening remarks by Alex Rogers, also touched on the fact that most people in this industry aren’t just in it for the money. Aundre Speciale, from Americans for Safe Access (ASA), offered this suggestion for success: “Love is the best business model.” Her comment was greeted with enthusiastic applause. This entry was posted in Cannabis, Events, Marijuana, Press and tagged Americans for Safe Access, aundre speciale, cannabis industry, CBCB dispensary Berkeley, dana rohrbacher, Debby Goldsberry, Dr. Carl Hart, icbc, Phytologie Wellness. Bookmark the permalink.